Circuit Stickers « Adafruit Industries – Makers, hackers, artists, designers and engineers! High-Low Tech @ MIT – Circuit Stickers. Circuit stickers are a new medium for making electronics. 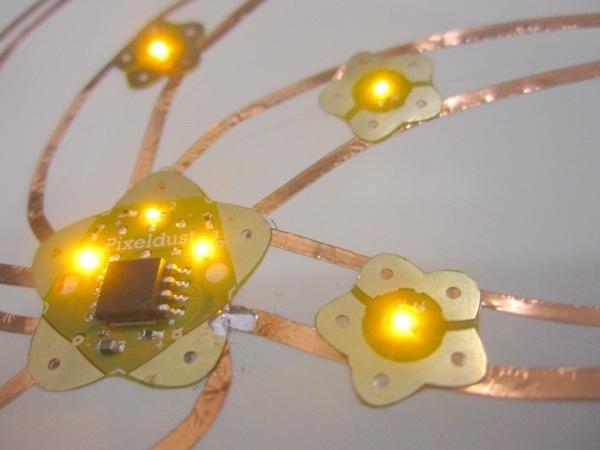 These thin, lightweight, flexible and sticky circuit boards allow us to craft electronic interactivity onto new spaces and interfaces such as books, clothing, walls, and even our bodies. 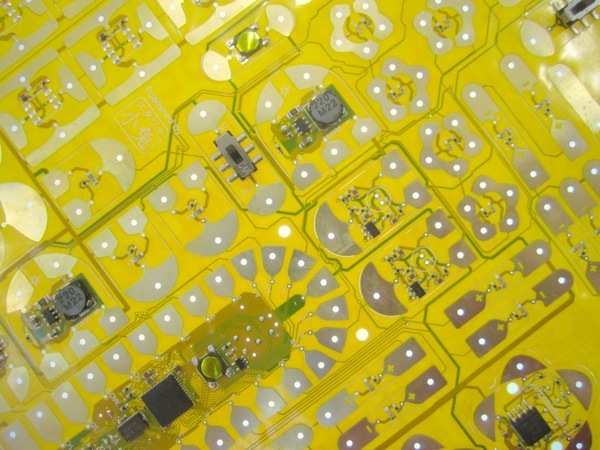 Circuit stickers are created by adding z-axis tape, a conductive adhesive, to kapton-based flexible PCBs. Below are example circuits created using conductive paint, copper tape and conductive thread as connective traces.